If you're looking for a robust mid-size truck that does its job but keeps you riding around in comfort and style, come to Sutherlin Nissan Vero Beach serving the cities of Fort Pierce and River Park, FL and check out the 2015 Nissan Frontier. Whether you're working, traveling up rough terrain or just cruising down Florida's highways, the friendly staff at Sutherlin Nissan Vero Beach would like to help you do it in a 2015 Frontier. 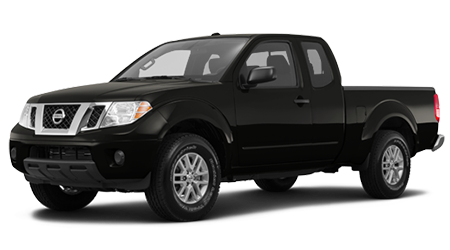 We know you're the type that never settles for less, and with the 2015 Nissan Frontier, you certainly won't have to. This baby is packed with performance and power that puts other trucks to shame. Giving this full-bodied truck its get up and go is the standard a 2.5L 16-valve 4-cylinder with 152hp or a 4.0L 24-valve V6 with 261hp. A standard 5-speed manual transmission is included on 4-cyl while the V6 is mated with a 7-speed manual. An automatic transmission is optional on all models. You'd also expect a workhorse like this to be able to haul an extra load, and the towing capacity of the Frontier lives up to your expectations. Properly-fitted 4-cylinder Frontiers can tow up to 3500 while the 6 cylinder Frontier has the ability to tow up to a whopping 6500 pounds. That's three and a half tons of extra cargo! Trucks are made to be versatile and serve a lot of functions, and that's why the 2015 Nissan Frontier is available in 10 different versions. Both the 2-door King Cab and 4-door Crew Cab have a subset of trims to suit every work and play need, so you can pick and choose the trims and options that work best for you. A long bed is also an option on some trims. But what gives the Frontier its pedigree? Standard exterior features on the base trim include a chrome grille, front solar glass, and a tailgate spoiler. Inside the roomy cabin, you'll find, second-row under-seat storage and 2 12-volt power outlets as well as Bluetooth. A truck that's driven hard needs safety and a tire pressure monitoring system and steel-side-door guard beams are standard. 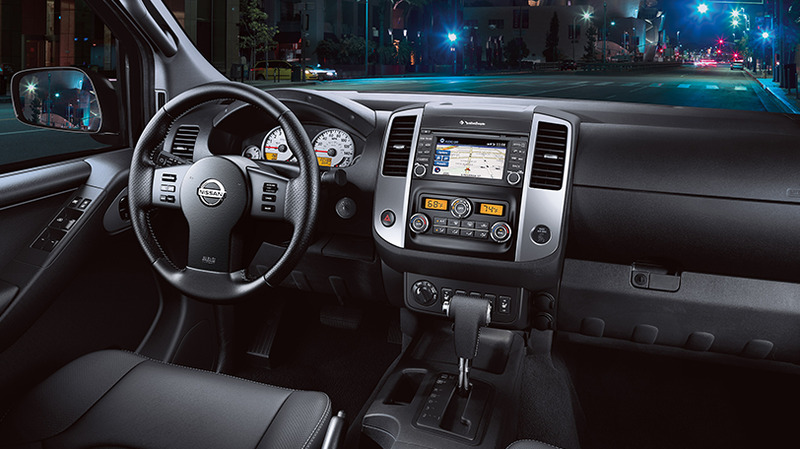 Optional equipment depends on the trim, engine, and cab, but you can enjoy such technology as navigation and NissanConnect on several models. If you've been shopping around for a mid-size truck that can withstand the Florida heat and more, then the 2015 Nissan Frontier has your name on it. If you're in Fort Pierce or River Park, we invite you down to Sutherlin Nissan Vero Beach to give this baby a spin. Once you've kicked the tires, you'll know the 2015 Frontier is the truck for you.